Surface scaling can be of two types. One is a relatively thin scaling caused by improper finishing and curing operations. 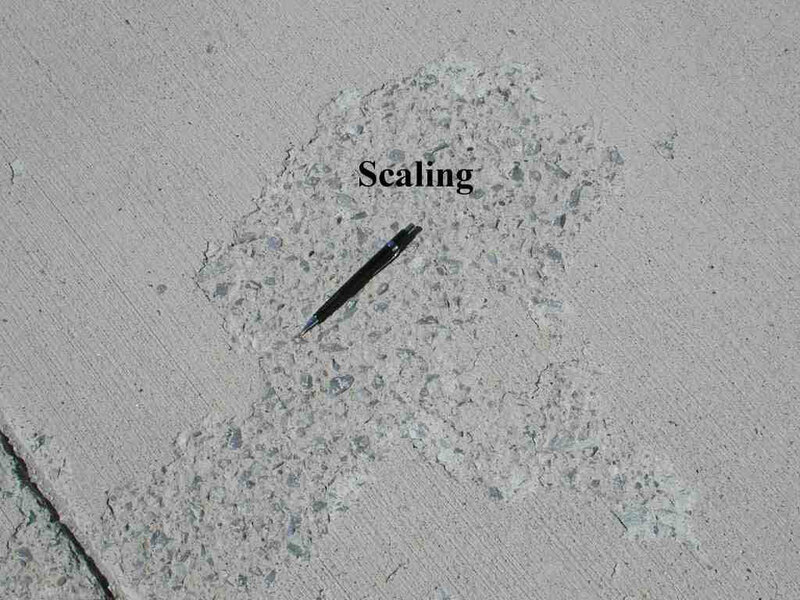 The other is the scaling of non air entrained concrete caused by freeze thaw damage and the application of salts for snow and ice removal. 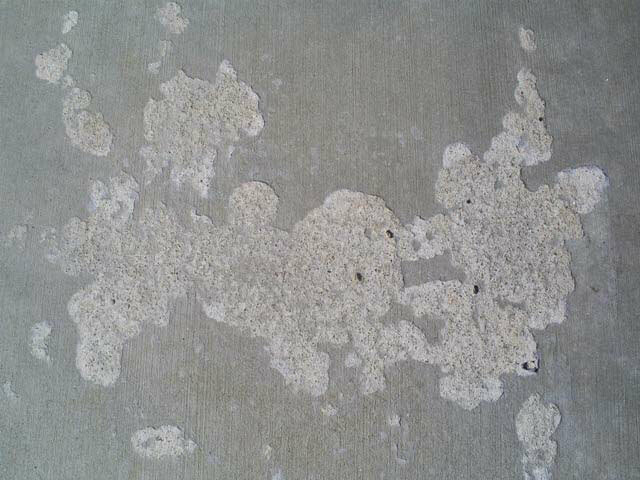 The materials and finishing and curing operations that cause dusting of concrete surfaces also cause this surface scaling. The procedures used to prevent dusting will prevent this type of surface scaling. Scaled concrete surfaces can be repaired by applying a thin resurfacing of concrete properly bonded to the underlying old concrete. All defective concrete must be removed from the surface, by scarifying or scrubbing with hydrochloric acid, before applying the new concrete. A thin layer of cement past should be brushed into the damp surface of old concrete just before the new concrete is place to secure a good bond. The new concrete is place, finished, and cured by normal procedures. 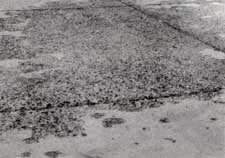 Any relief joints present in the old concrete should be carried through the new resurfacing.